This Father's Day, I wanted to do something very special for Doc. We've had an incredible busy year between growing our business and nurturing our family, I wanted to give him an opportunity to relax his mind and recharge his soul. A Sunday afternoon to himself wouldn't suffice, and most likely, he would just balance his check book and do laundry. What he needed was to fish. You see, this is what makes Doc happy. It gives him a fresh perspective, an optimistic attitude and a brighter outlook. Before D was on the scene, fly fishing was an activity and a passion we shared. Weekends were spent driving throughout California to fish spectacular blue ribbon trout waters, camp among bears and rattlesnakes or sleep in shady motels, and most terrifying to me, walk through poison oak. After D was born, our fishing was curbed, but sharing our love of fishing, the outdoors and nature with D was very important to us. 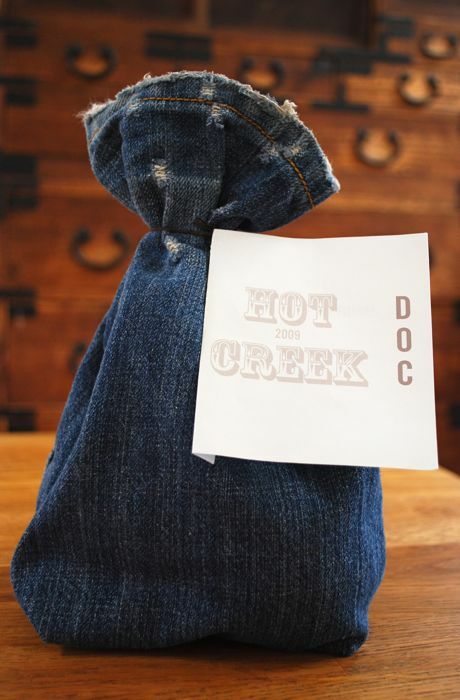 We decided that the best and most pleasurable way to do this was to continue our yearly trek to our most favorite place on earth, Hot Creek Ranch. Hot Creek is beautiful. It embodies the notion and allure of "the west". We look forward to our annual trip with much anticipation. With D in tow, our routine has changed. Doc and I take turns fishing two hour shifts instead of fishing 8 hour days. In between fishing, we look for lizards, giant gopher snakes and rabbits. We have picnics, search for lost tackle and read on the shaded porch. While all this is fun, it's not always relaxing. 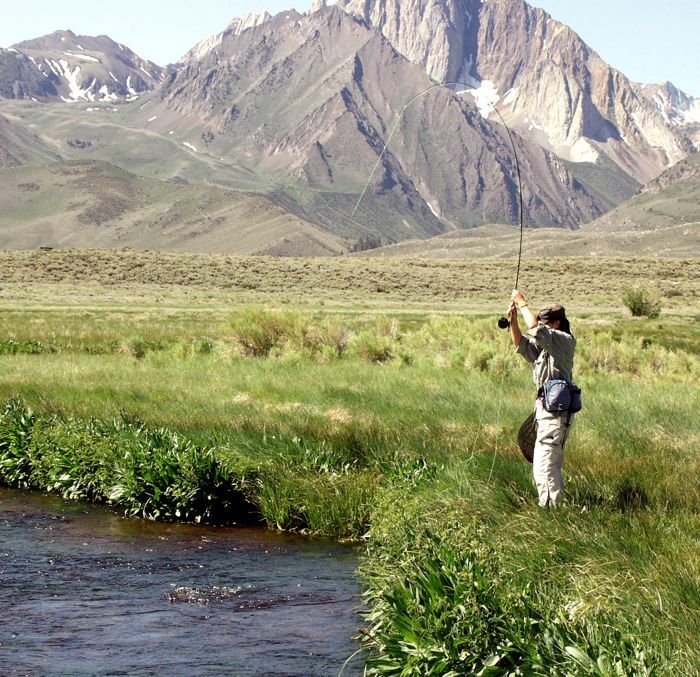 So, as our gift to Doc, D and I gave up our spots this year at Hot Creek and sent him fishing with his buddy from NYC where he could enjoy fishing eight hour days, taking naps in the afternoon and male camaraderie. Of course we couldn't send them on the road without the essential survival items, so we made these care packages. I had a tough time finding some macho fabric in my stash, so I cut the legs on a pair of Doc's old jeans and stitched up the cut edge. Despite the contents, I think the result was muy macho. By all accounts, Doc had a great time, but I know he missed us terribly. We missed him too!